Victory Day - a holiday of the victory of the Soviet Army and the Soviet people over Nazi Germany in the Great Patriotic War of 1941-1945. This auspicious day is celebrated throughout the CIS. Festive procession in honor Victory Day is traditionally held in all hero cities. 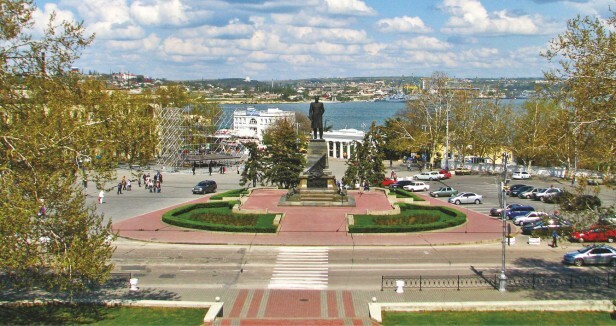 In Sevastopol, the city-hero, post-heroic defense during the Great Patriotic War, the holiday has a special meaning. It is home to a large number of veterans of Russia's Black Sea fleet. You will have a great opportunity to see the spectacular parade in honor of Victory Day, and will complete this memorable day a magical fireworks, which can be admired from the main square or from the restaurant on the waterfront of Sevastopol. The tour included as the most significant sites of the city associated with the events of the confrontation of Nazi Germany, and the place, especially picturesque in the spring. With us you not only plunge into the festive atmosphere of the Victory Day, and touch the history, but also just fine relax and enjoy the wonderful nature of Crimea spring. 11: 00-12: 00 at the meeting / railway or airport of Simferopol. Transfer and accommodation in hotel. Sapun Mountain, Diorama 'Storm of Sapun Mountain May 7, 1944 g. " The exhibition of military equipment of World War II. Picturesque views of the valley of Balaklava. Tour to Balaklava: Embankment, Genoese tower, Church of the 12 apostles. Optional: The top-secret underground plant to repair underwater boats. Optional: Boat trip on the Balaklava Bay. Balaklava safely be called the capital of boating. Boat trips - the brightest feature of the resort Balaklava, as inseparable from it today as described Kuprin fishermen Listrigony hundred years ago. 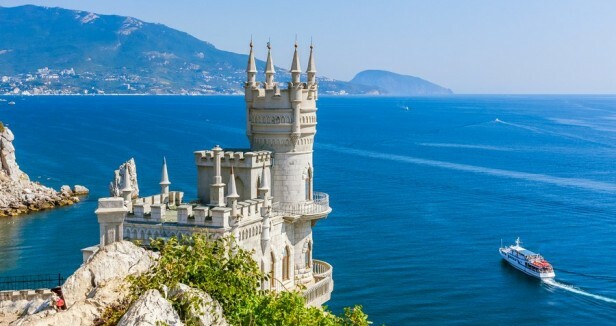 Transfer to the southern coast of Crimea on the South Coast highway (review sites): Church of the Resurrection in Foros (.. To see the square), Baydarskiy pass with beautiful views of the valley Baydarskaya, mountain cat, a tunnel in the mountain dragon. Throughout the slopes overlooking the sea. Vorontsov's Palace - the most romantic palace of the South Coast, its state rooms, is the only living example of the interiors of Russian manor early 19th century (external inspection, optional visiting inside. The residence of the British delegation at the Yalta conference. Tour of the palace park: majestic stone chaos, shady grottoes, ponds and lakes, amazing plants and fountains. Yusupov Palace - Palace in Koreiz in the Neo-Romanesque style with Italian Renaissance elements. 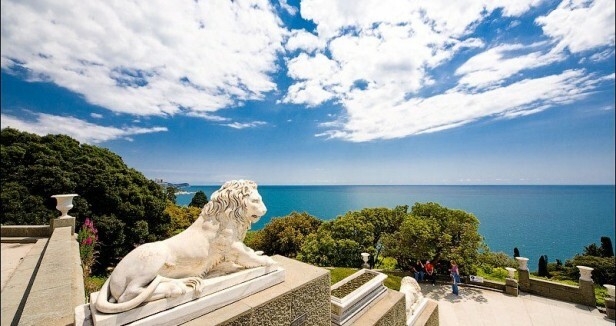 Built Yalta architect Nikolai Krasnov to Prince Felix Yusupov (Sumarokov-Elston), the former governor-general of Moscow. The residence of the Soviet delegation at the Yalta conference. Livadia Palace - former summer residence of the last Russian Emperor Nicholas II. Built in the style of the Italian Renaissance, supplemented by motifs of Byzantine, Arab, Gothic architecture. Italian court yard - the most beautiful palace area (external inspection, Optional visiting the palace. From 4 to 11 February 1945 in the Livadia Palace the Yalta conference of heads of the three allied powers - the USSR, the USA and the UK (Stalin, Franklin D. Roosevelt, Winston Churchill) and lived the American delegation headed by the President Franklin D. Roosevelt. House church of the Romanov family. Castle Swallow's Nest (from cm. Area). 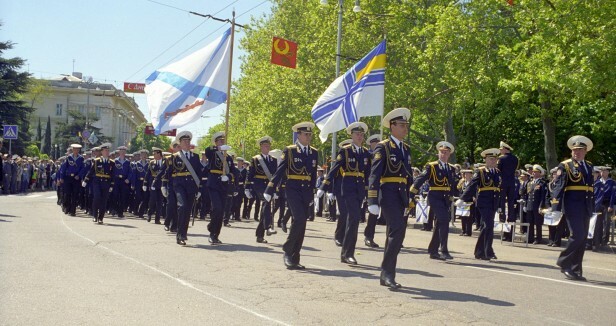 Festive parade in honor of Victory Day. It is attended by the Russian military. Historical Boulevard. Walk along the boulevard. Panorama "Defense of Sevastopol" (optional visit adult). Exhibition of anchors. Monument to soldiers of the 4th bastion. Best parapet 4th bastion. Transfer to the fireworks in the Sebastopol center (for the add. Fee you can order a meal at a restaurant on the waterfront, where the fireworks will be seen in all its glory). Khan's Palace optional visit - the residence of the Crimean khans: palace mosque, the Council and the Court Hall, the harem, the Fountain of Tears, Golden Fountain, Arabian courtyard, Falcon Tower, Khan's bath. Cave city Chufut-Calais optional visit: many caves carved into commercial premises, roads, watchtowers, the ruins of the mosque and the mausoleum of the Golden Horde Khan Tokhtamysh daughter, Dzhanyke Khanum 1437 construction, Karaite kenasa and one residential homestead consisting of two buildings. Lunch in the cafe of the national Tatar cuisine. Rock Monastery of the Assumption in the scenic gorge Maryam-Dere (founded by Greek monks in VIII- IX centuries.). According to legend, it was on these rocks was the people miraculous icon of the Mother of God. Tash-Air - primitive parking. Rock paintings of ancient people. Cave city Kachi-Kalon (briefly). Inkerman. The medieval fortress Calamita, Cave Monastery of St. Clement. (visual inspection). Breakfast. Check out of the hotel. 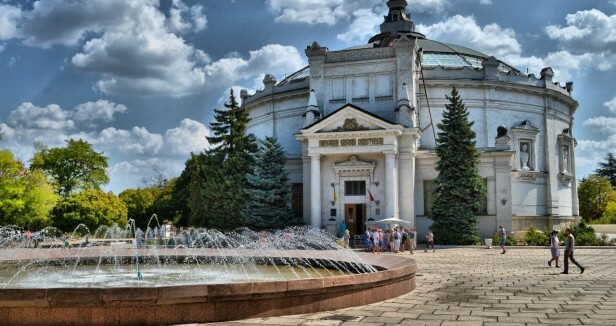 Transfer to / railway or bus station of Sevastopol, or train station or airport in Simferopol. On the days of the parade in honor of Victory Day, the program can be changed, while maintaining all of the objects to display. 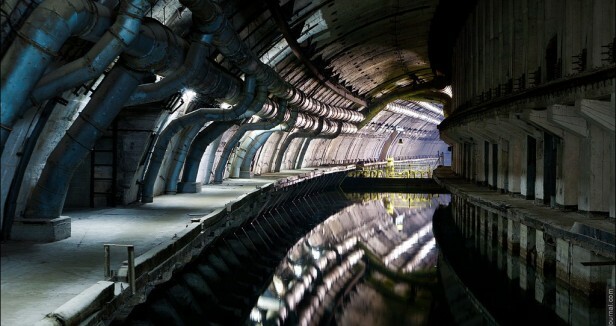 The top-secret underground plant to repair underwater boats (adults - 200, children - 100 Rubles).